Bear in mind that most private rented houses show only the actual Rent in the advert. You will need to budget for your share of Utilities, Broadband, TV Licence etc. on top of the rent. Some landlords offer a ‘Bills Inclusive’ option. This is not always a sound idea. Once you know you are looking for, say a 5 bed house, hit the web and compare the prices. You’ll be amazed at the difference in value. A bit of research in advance will help prevent you spending way more than you need to. From 1 June 19 Letting Agents will no longer be allowed to charge admin fees, credit check fees etc. Your deposit should not be more than 5 weeks rent and the holding deposit you pay to reserve a property cannot be more than 1 week’s rent. SUSU lettings will be complying with the new law before it comes into force – many other agencies will not. You simply cannot rely on the photos online to represent truthfully what state a house or flat is in. Try to go as a whole group if at all possible. If not, ensure those who go take photos and/or videos to show to their absent mates. SUSU Lettings can make this process easier by piling your whole group in a minibus and driving you around your properties of interest so you can compare them easily. 🏡 Never let yourself be pressured into signing a contract or parting with your holding deposit immediately on returning from a viewing. Get a copy of the contract you are going to be asked to sign and get it checked out by the Advice Centre to make sure it’s not going to harm you in any way. The Advice Centre may also be able to tell you what previous tenants have thought of the Landlord/Agency you are thinking of using. 🏡 Once you have found the property of your dreams, you will want to secure it. This will usually be by paying a holding deposit, which you subsequently top up to make the full security deposit. The deposit will be required to be paid in full before the Tenancy agreement is signed. During the period between paying the holding deposit and the remainder of the deposit, you and your Guarantor will need to be credit referenced, and you will undergo Right to Rent checks – you are not charged for any of this by SUSU Lettings. 🏡 Once you have signed the tenancy agreement, you are locked into that agreement until it expires. If you decide not to proceed with the rental, or if your circumstances change (e.g. you leave Uni, become long-term sick etc.) you will remain responsible for payment of the monthly rent until and unless you find a replacement to take over the remainder of the tenancy, which the landlord must agree to. What Agents or Landlords do you recommend or warn against? SUSU Lettings is, when it comes down to it, just another Letting agency, albeit an agency with the students’ best interests at heart. It would be unfair and unethical of us to go around criticising off the opposition, much as we might like to. However, the Advice Centre do often receive and collate comments from students. If you approach them they may be able to let you know what previous tenants have said about their particular Agent or Landlord. Can you check my contract for me? This can be done by the experts in the Advice Centre, but not by SUSU Lettings. Just email them a copy (advice@susu.org) and make an appointment to go in for a chat. SUSU Lettings do not charge any fees for admin, right to rent checks, credit checks or Guarantor checks. There are a couple of other Agencies in Southampton who also do not. Most other still can and therefore do charge fees – it currently forms a large part of Agencies’ income. The new law also caps the amount a deposit can be to the equivalent of 5 weeks’ Rent, and the holding deposit you pay to secure a property at the equivalent of 1 week’s rent. I’m having problems with my Landlord. Can you help? If you rented through SUSU Lettings, please let us know of any issues with your house or Landlord as soon as possible. 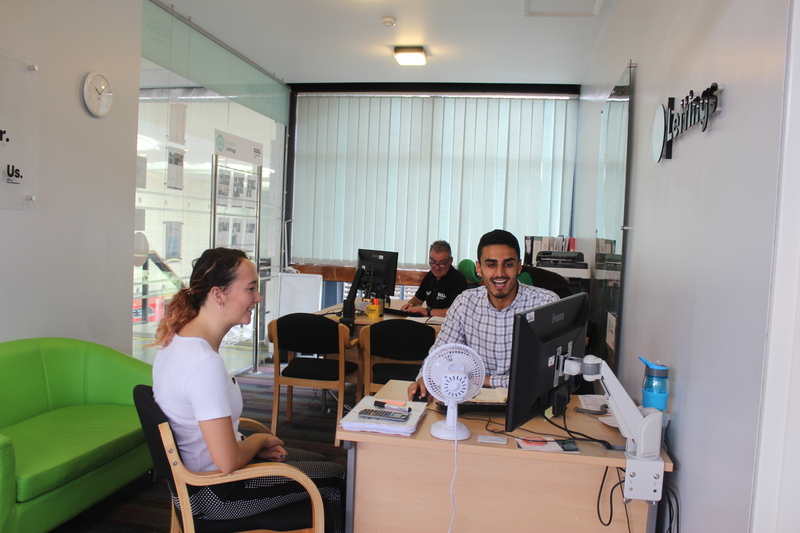 If you have a problem with a landlord but did not originally rent through SUSU Lettings, please approach the Advice Centre. They are able to help with all housing matters, and will always be able to ensure your rights are protected, as well as letting you know what your responsibilities are in relation to contractual matters. 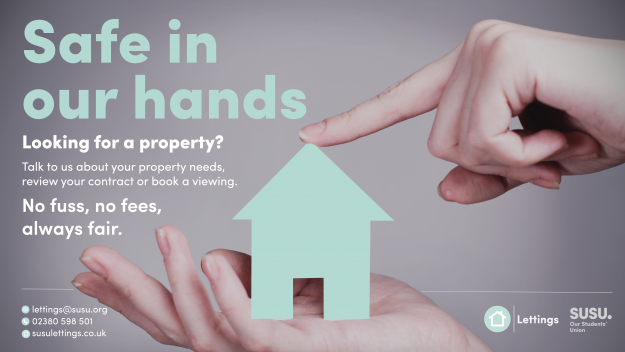 Please visit SUSU Lettings or the SUSU Advice Centre for more info.